Today is Harry Potter’s Birthday day! Wahoo. 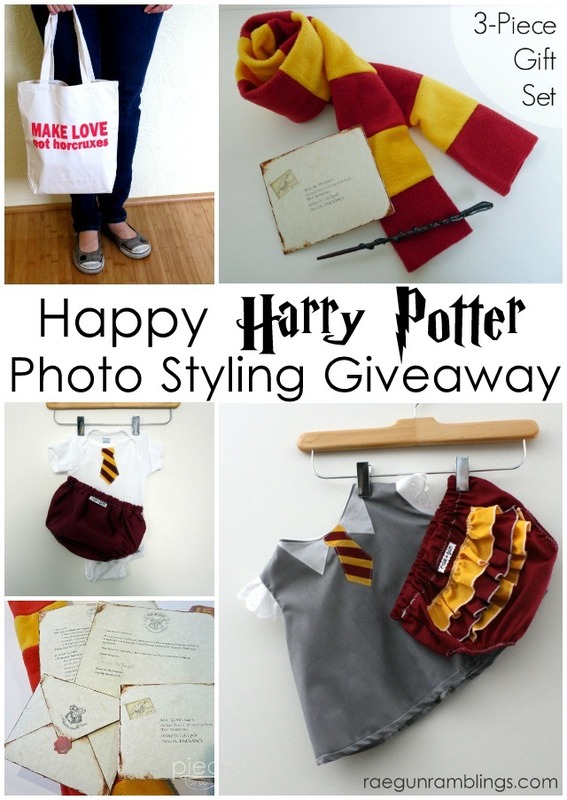 We have a few more days of our celebration still and first up today for the Happy Harry Potter series is Michelle from The Scrap Shoppe. She make the neatest wizards potion necklaces. I’m in love I need them all! 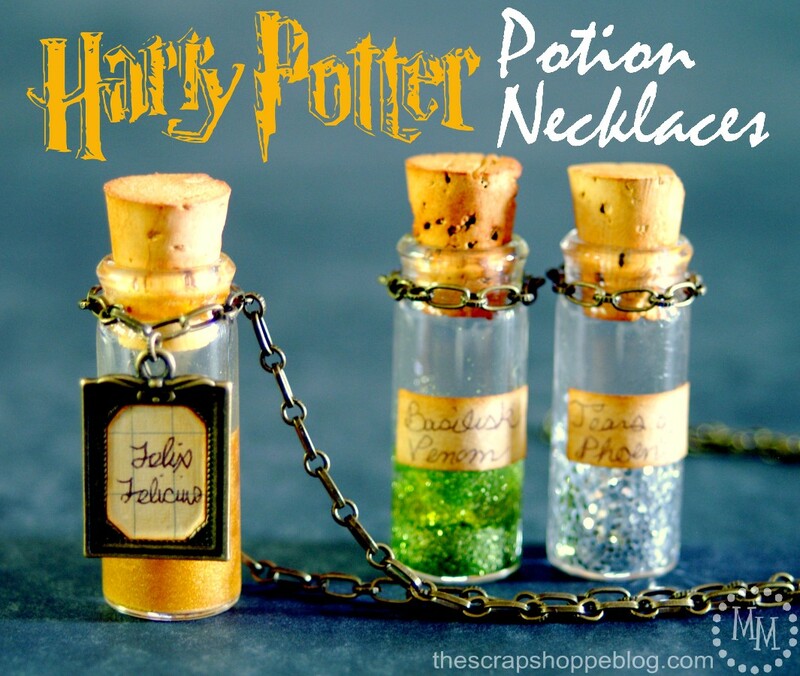 Go see exactly how you can make your own Liquid Luck, Basilisk Venom, and more with her awesome Harry Potter Potions Necklace Tutorial. For another special birthday surprise we have Kaylynn from Among the Young who is sharing her birthday with Mr. Potter today. 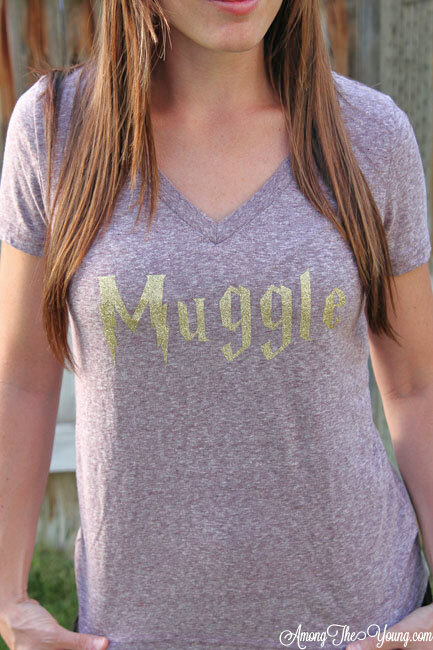 Check out her fabulous glitter Muggle Shirt Tutorial and be sure to wish her a very Happy Birthday! 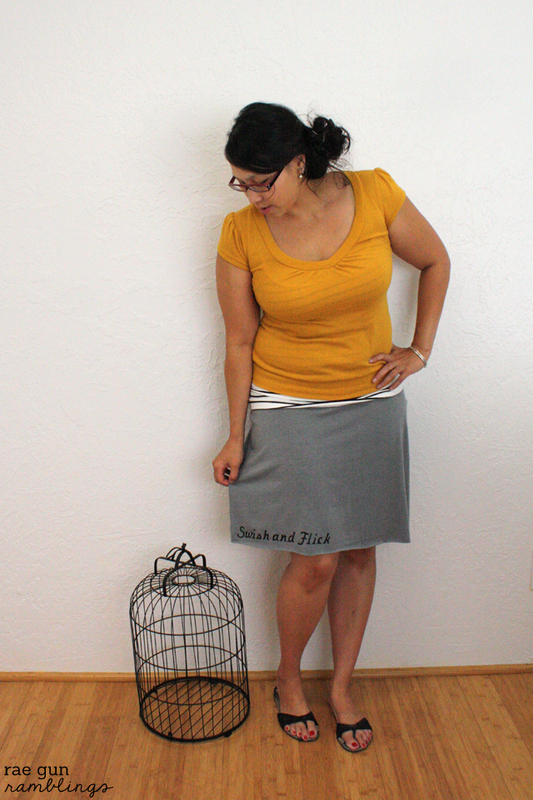 And if you missed my Sew Our Stash Potter Edition post from earlier I made two skirts including this fun Swish and Flick skirt. 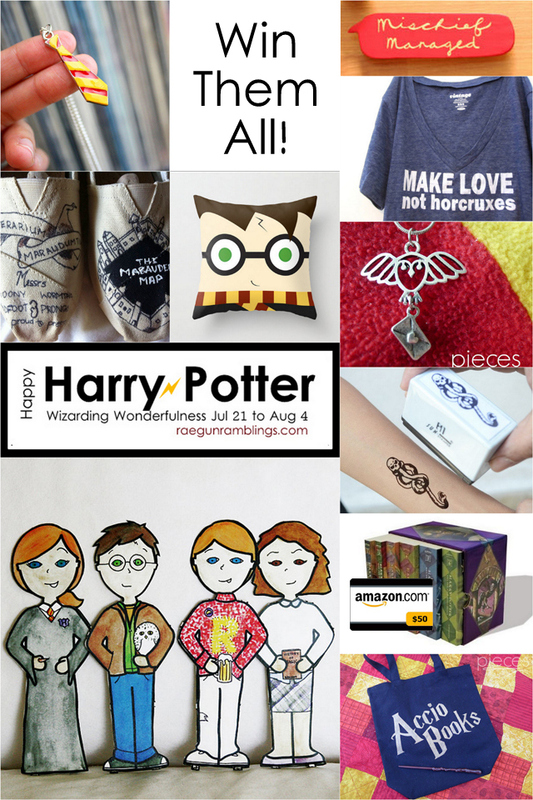 There’s just a few days left for the giveaways go enter and share them with your favorite Potter loving pals. First the photo-prop giveaway.